Here's the basics of this kit. It makes it possible to mount a modified rotor from a '96 Nissan Altima onto a stock, unmodified hub by spacing the hub out an additional (approx.) 1/8". Doing this allows the rotor to clear the stock caliper bracket. A spacer is used to center a modified '85 Volvo 245 caliper over the rotor. The heat shield will need to be pushed in slightly to clear the rotor. This is not a drastic push and can be easily done by hand. 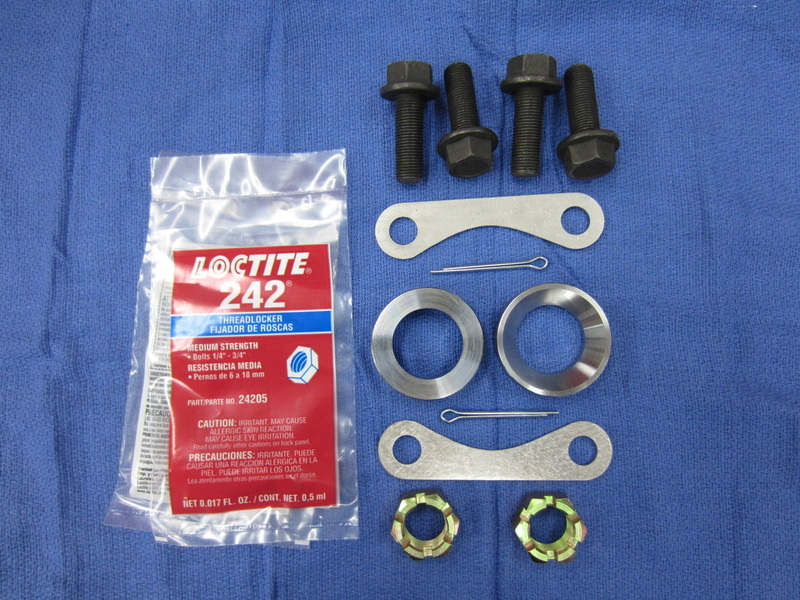 2 - Modified, stock vented rotors for a '96 Nissan Altima. (Brand may vary due to local availability). Rotor is modified by opening up the center hole to fit the backside of the stock hub. Caliper(not supplied) is modified by the customer by drilling the mounting holes to 1/2"
Spacer is laser cut from .120"(11ga) stainless steel. 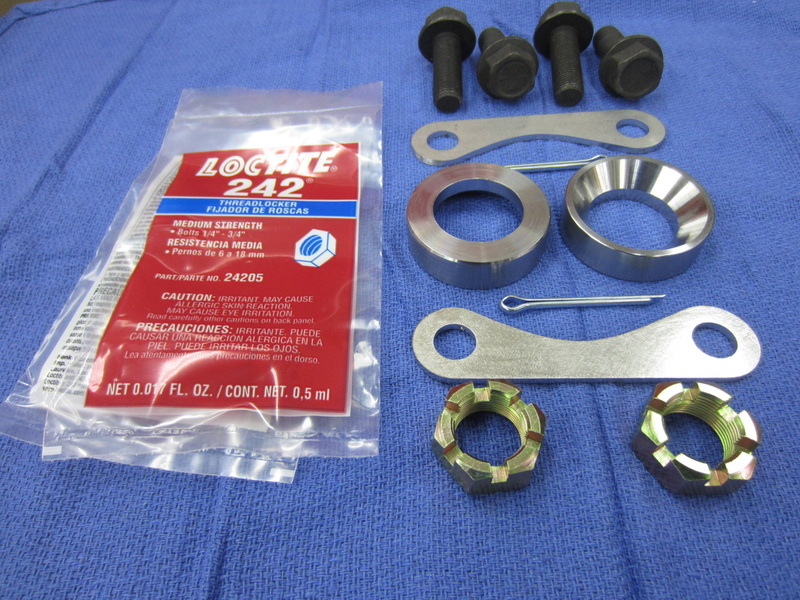 The bearing spacer is designed to have an interference fit with the spindle. Please watch the video to see how it is installed. so the tolerance had to be loosened up just a bit. 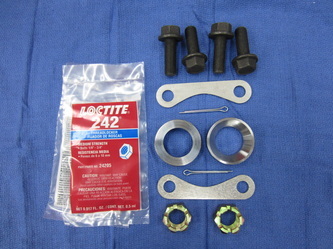 Including the Loctite is a precaution to insure that you'll be able to install the kit. Click this link for more information about what is required to connect the Volvo caliper to your brake system.